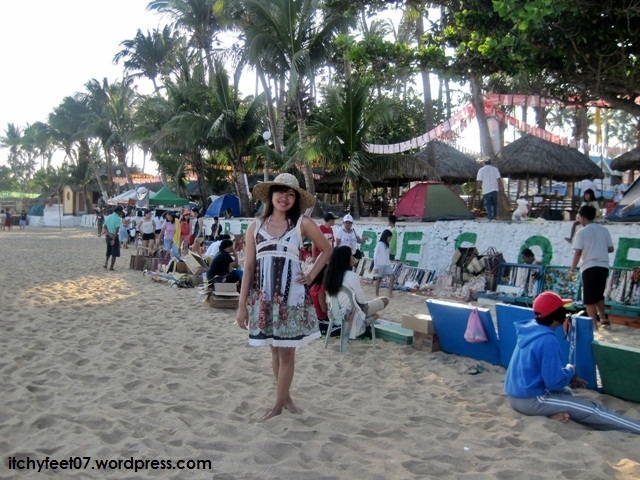 From Vigan, we headed to one of my favorite place (and beach!) in the country, Pagudpud. 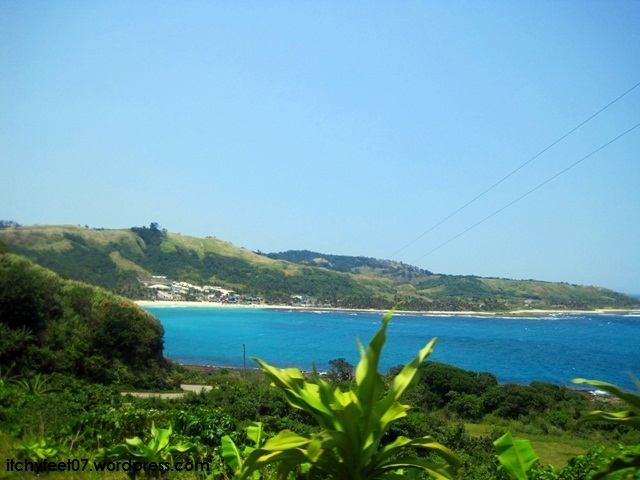 This quaint town is located in the northern most edge of the Luzon Island, and it’s the last town of Ilocos Norte in the north. 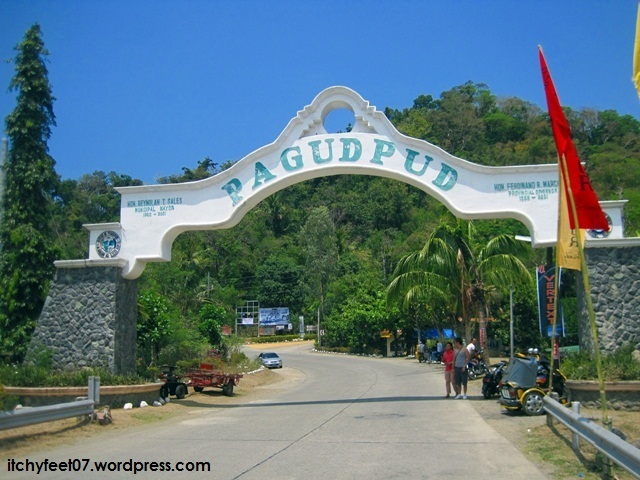 The well-known beach in Pagudpud is Saud beach, although there are other beaches around town. 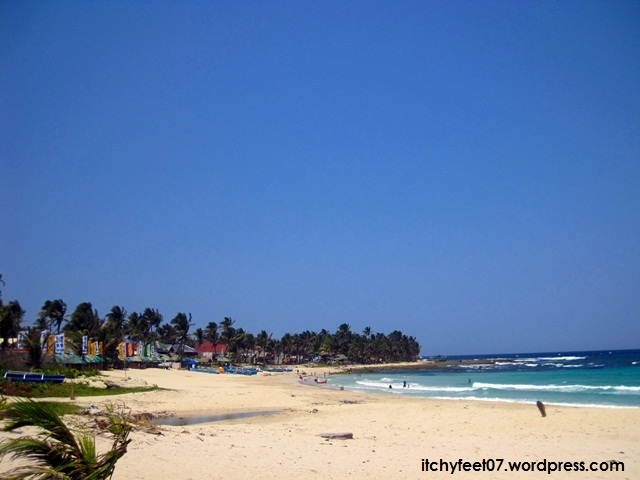 The tricycle driver will most likely take you to Jun and Carol’s Beach cottages at the rocky end of Saud beach. 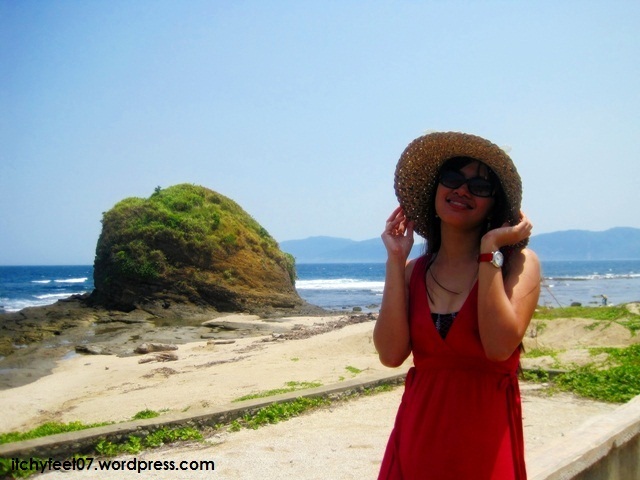 Though at the rocky end, the beach is just few meters away, plus the rocky beach front is good background for photo ops. 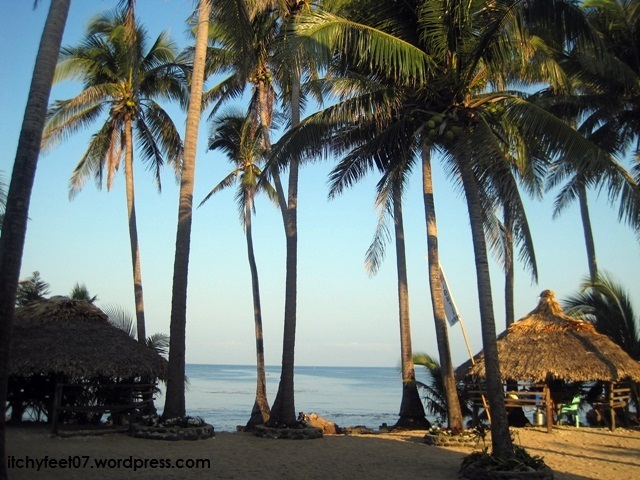 Tip: Beachfront resorts cost much than those at the rocky end. Our room beside the stairway. Small cottages in front of Romaville. For more info and reservations, you can contact Romaville Beach Resort’s manager (ate Maribel) at these numbers: +63919 620 9151 or +63915 454 3488. 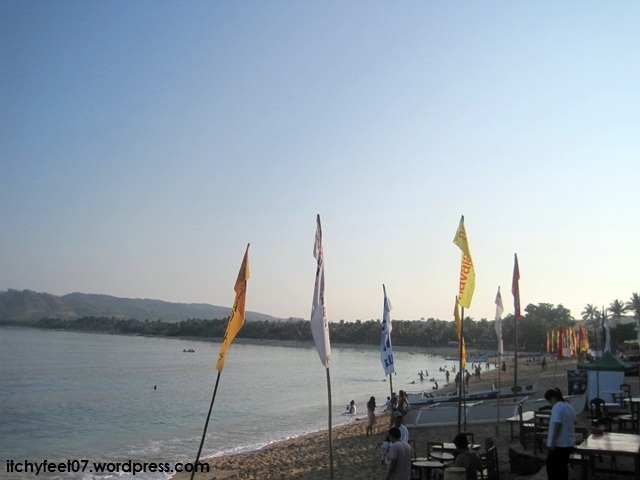 In my recent trip to Pagudpud last November 2011, ate Maribel is no longer connected to Romaville Beach Resort. 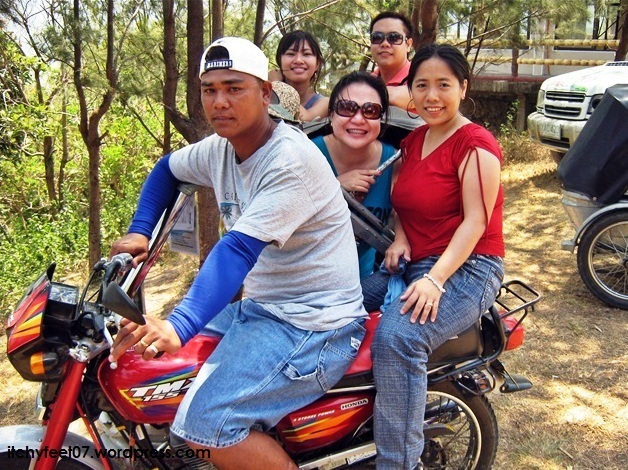 The tricycle drivers also act as tour guides, so you can hire them for a tricycle tour of the town. 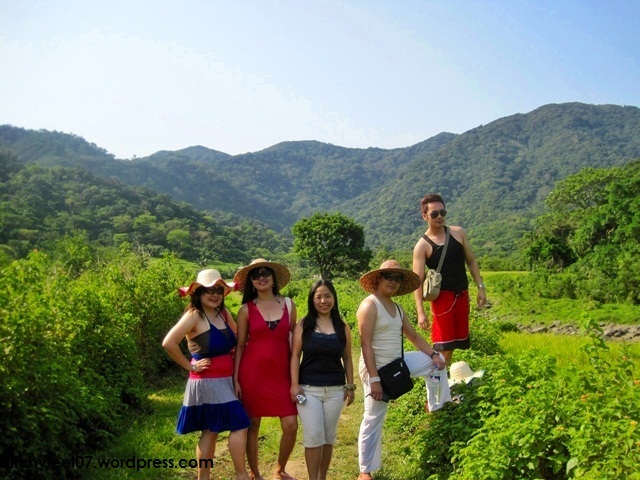 There two town tours available, the north and the south, which costs 600 Php (14 USD) each, for maximum of three persons. I recommend that you spend a day each for the two tours, just like we did. Driver na, tour guide pa! 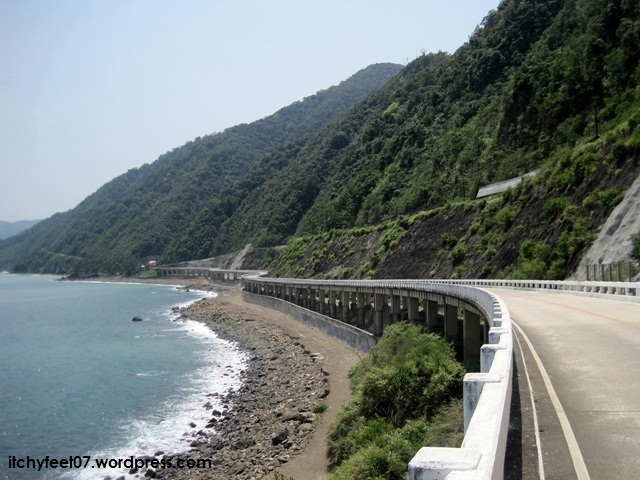 The Patapat viaduct is a bridge connecting Ilocos Norte to the Cagayan province. 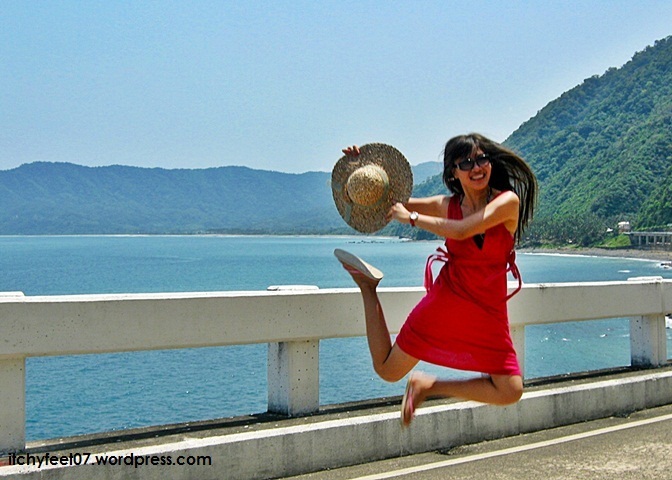 At the side of the mountain, facing the South China Sea, this bridge boasts a scenic sight of the endless sea and the cool ocean breeze will surely captivate you! 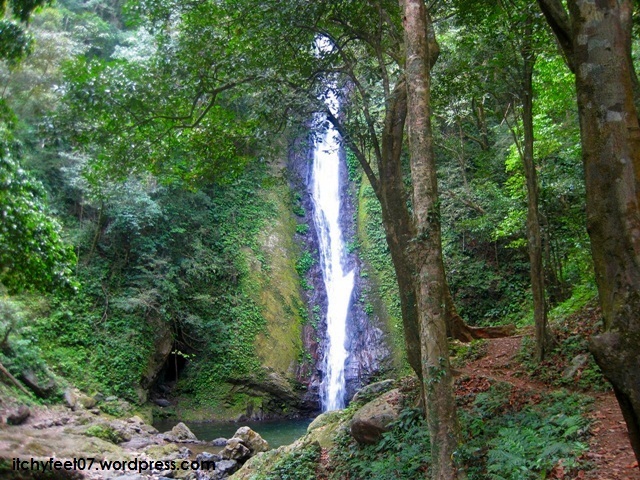 The Kaibigan falls is located inside Pagudpud’s lush tropical rainforest. We trekked for 30-45 minutes to reach the waterfalls. The trek was quite easy and very enjoyable. Our efforts were rewarded by the magnificent view of the falls. We also tested the ice-cold water of the waterfalls—a refreshing way to cool down in a hot summer day! The entrance fee is 20 Php per person, and tour guide for 100 Php. 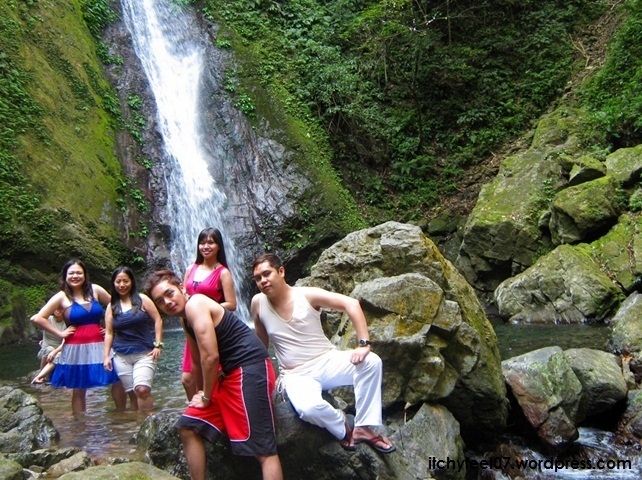 The trekked to Kaibigan Falls. The water is cold and refreshing! 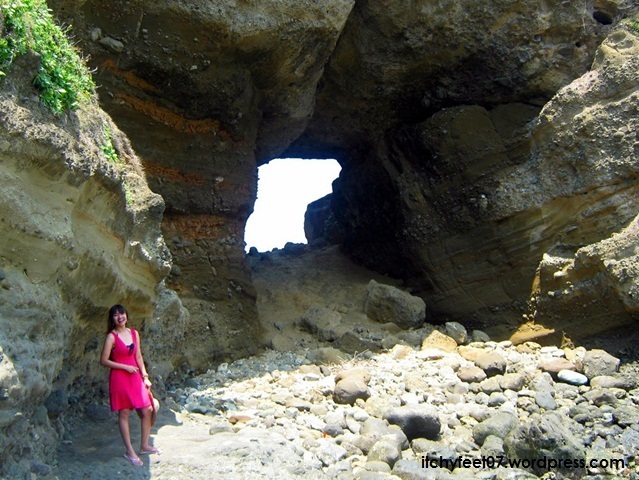 On the way to the view lagoon, we passed by this unique rock formation, shaped by the currents and tides. Photo op with the rock..
It’s not really a cave, but a huge rock carved by the action of waves. Really amazing! Group pic in front of the cave. 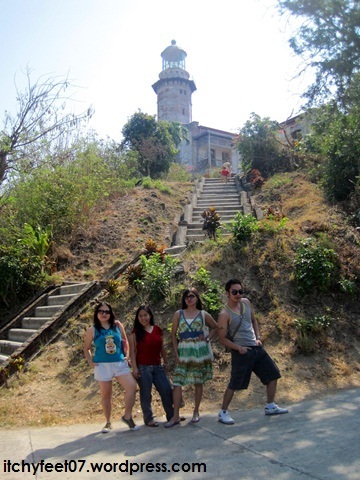 The lighthouse is located at the town of Burgos, and about 45 minutes from Pagudpud. This is actually the oldest lighthouse in the country! There were a lot of people when we went there, so arrive early to have more photo ops without the “extras”. The last time I was there, we were allowed to enter the actual lighthouse and climbed the spiral staircase all the way up the “light” and enjoyed a 360-degree view of the sea and mountain. But this time, entry is prohibited, people are allowed only around the foot of the lighthouse and to the small museum. You can still enjoy the view of the sea from the foot of the lighthouse. No entrance fee, but at least donate some amount to help in the maintenance of this historic place. At the foot of the lighthouse. I feel like a princess in a castle hehe..
On the way to the windmills, we stopped by the view deck, perched at the side of the road. 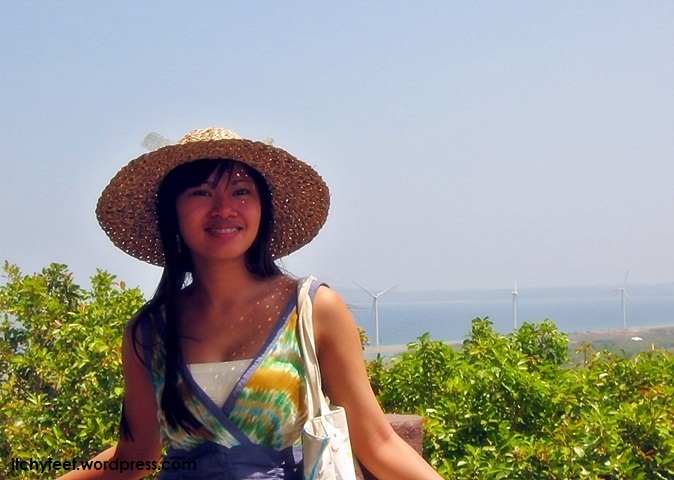 From here you can enjoy a panoramic view of the mesmerizing windmills. Behind me are the windmills. 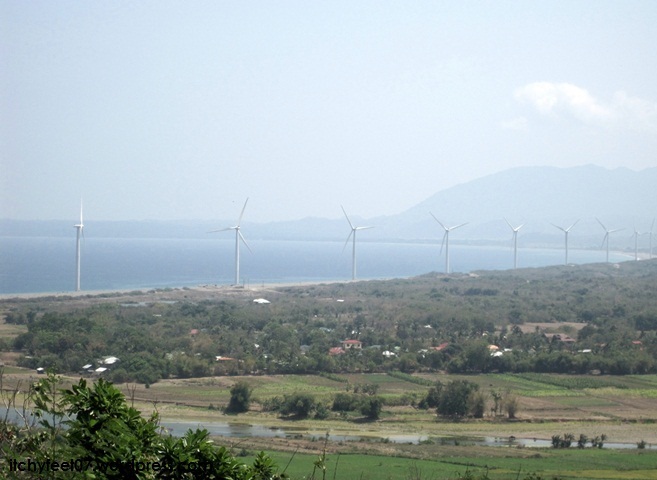 Panoramic view of the windmills from the view deck. Like a déjà vu, I was walking underneath these mammoth structures for the second time! 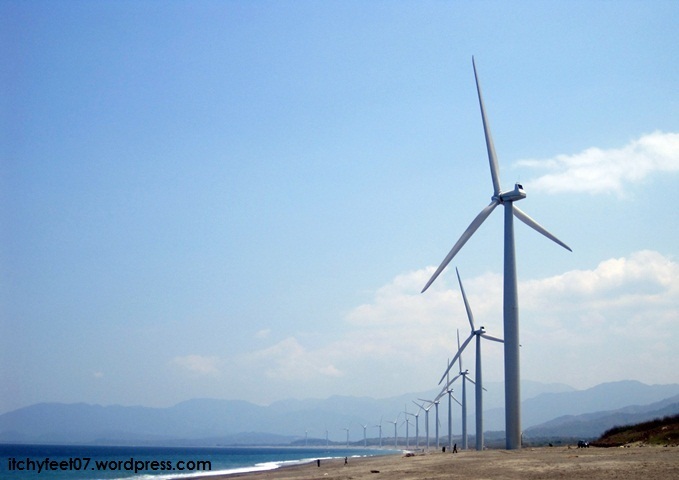 The windmills are located at the town of Bangui, which provide a green source of electricity for the nearby towns. The windmills never failed to impress me and make me feel like I’m in Netherlands! 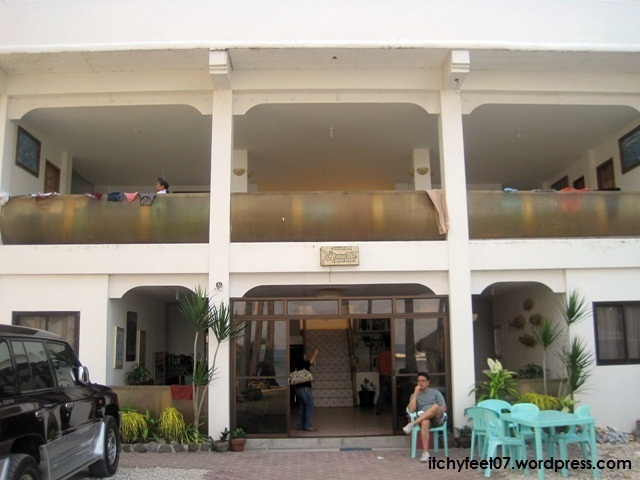 If you came here to party, well, you came to the wrong place (go to Boracay instead)! This beach is not for the party people, but for those who just want to chill and relax. During the holy week (especially Good Friday), loud music and videoke singing are prohibited. I was quite impressed because the even tourists followed, so everybody had a peaceful and relaxing weekend. Holy week is supposed to be a time to reflect, not to have wild parties and booze overdose (just my opinion)! Early morning in Saud beach. 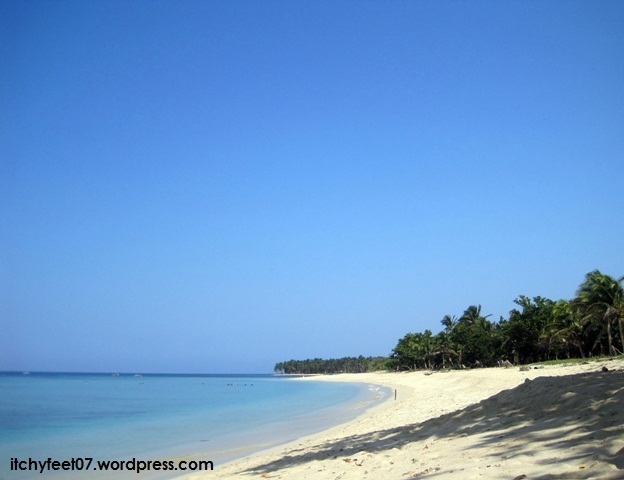 You’re in Pagudpud to enjoy the beach, not to snooze! 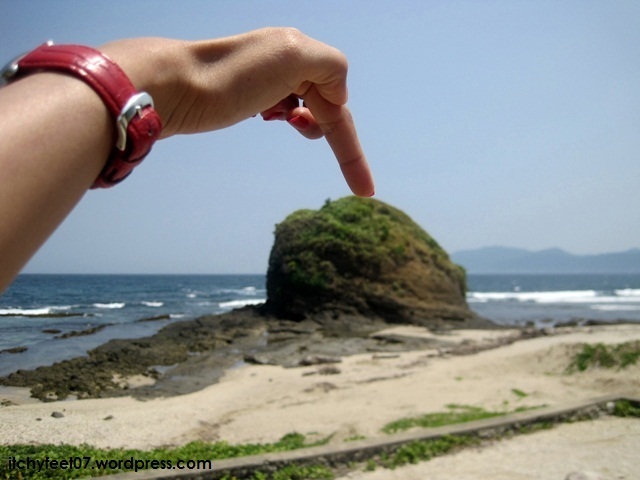 So wake-up early, have a leisurely walk at the beach (buy souvenirs too! ), and catch the sunrise. Beach sunsets are always romantic and beautiful, so do that as well. Deserted at the far end of Saud beach. 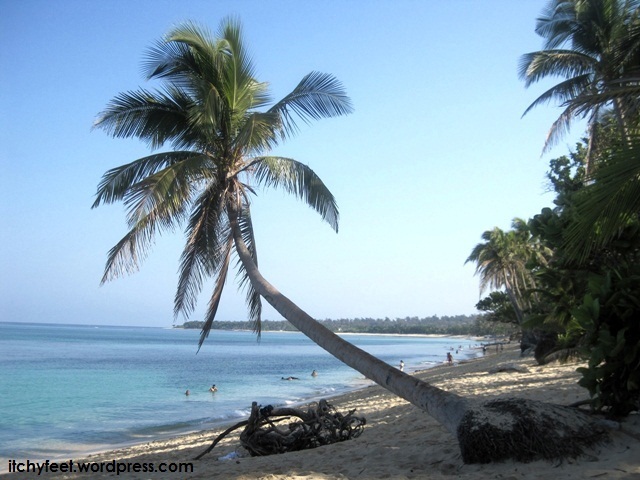 The leaning coconut of Pagudpud! 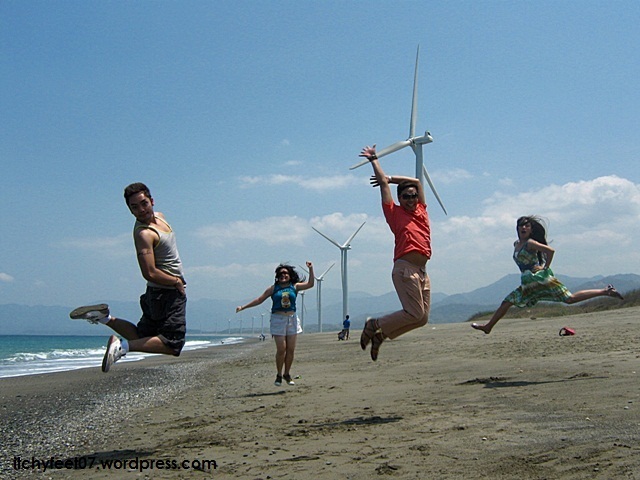 To see Revisiting Ilocandia Part 3: Side Trip in Laoag City, click here. 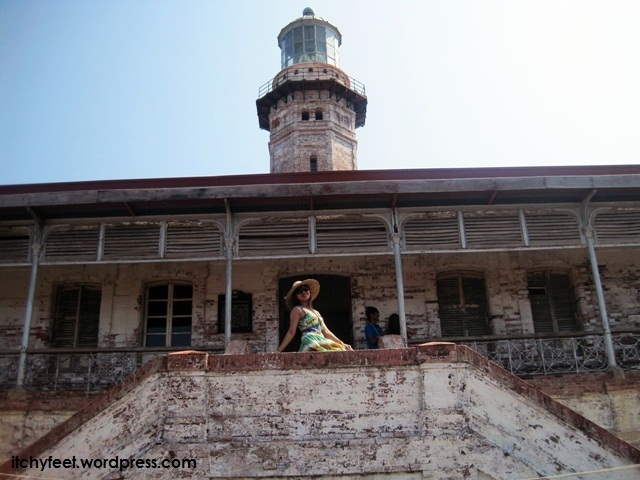 To see Revisiting Ilocandia Part 1: Vigan City, click here. To see me previous Pagudpud trip, click here. DISCLAIMER: Prices may go up, establishments may go bankrupt. It is recommended that you also check or research about the fares, fees and prices for your own convenience. 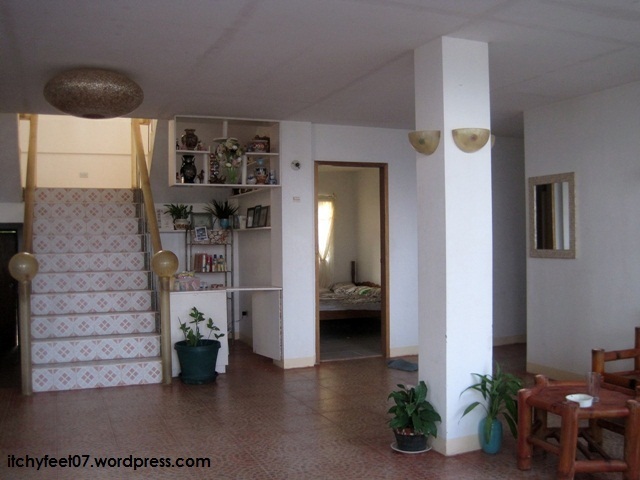 The author of this blog is not connected with any of the hotels, resorts or establishments mentioned. 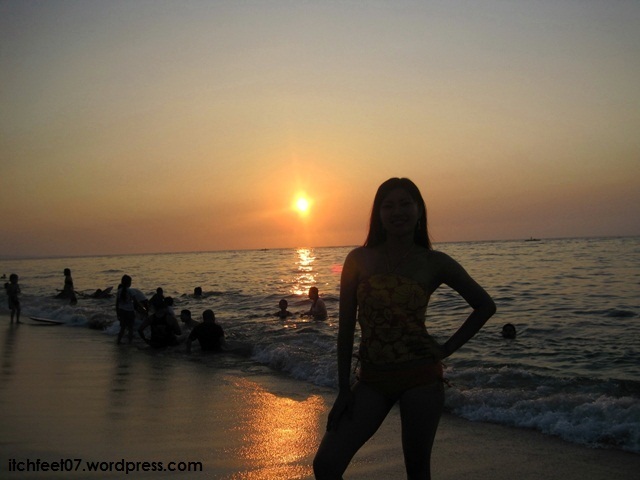 i like your posts,i got inspired to join this site and make a blog site din for the places that we’re able to go to. to be honest.. with the help of your potipot travel post, we were able to reach that place too..haha thanks much and keep on posting more travel blogs!hopefully this month of may,we can go to pagudpud naman din..peace out!! !